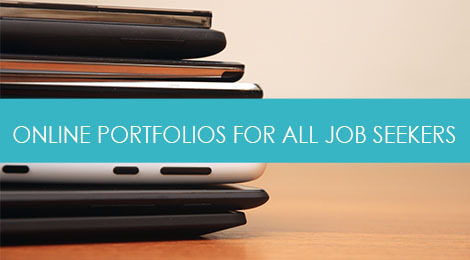 If you’re in the creative industry, you know that a portfolio is a standard marketing tool, and can often outweigh the resume altogether when the work really shines. But what about those of us who aren’t designers or copywriters, and who want a place to showcase some of our project work and talents? First of all, thanks to the growing popularity on content management systems like About.me, Wix, SquareSpace, and WordPress, you don’t need to know anything about web design or programming to create a digital portfolio or simple website. You just have to have a clear idea and strategy around why you’re creating the site, who your target audience is, and the overall brand message that you want it to convey about you (which should align with your resume, LinkedIn, and other marketing materials, btw). So what kinds of things might be included in a non-visual portfolio? Case studies or overviews of projects that you participated in as a team member, or worked on yourself. This is a great way to show your strategic and creative thinking skills, and how you conceptualized and executed a project. An expanded bio that allows you to go into more detail about yourself than on the LinkedIn or resume (as long as it’s professional and relevant). A web-based version of your resume that you can link to. A flattering photo of yourself – part of what makes LinkedIn so attractive is that the visual element makes you feel like you’re making a connect with a real person, versus just a piece of paper. Links to all of your relevant social media profiles or other platforms. A portfolio site serves as a great central landing page where all of your networks come together under a cohesive brand. A statement about your personal brand – this might be your bio, or perhaps an additional overview of what’s really important to you as a professional, where your talents lie, or how your personal values have influenced, or been inspired by your work. Everybody loves a personal success story. Your contact information – which is surprisingly hard to access on LinkedIn as a recruiter – not always an advantage for job seekers who WANT to be found. Great, now where should I start? About.me: Excellent if you’re looking for more of a 1-page static site with space for a bio, photo, headline, and links to all of your relevant networks. Slideshare: More project-focused, and a great platform for hosting things like multimedia presentations, slideshows, and other pieces of work that you want to share with their wide-reaching community, while building brand visibility for yourself. Issuu: A digital publishing platform that utilizes a pretty cool magazine/catalog-style layout that you can share and link to. SquareSpace: Your best bet if you’re looking to build more of a traditional multi-page site with navigation and a dedicated homepage (and don’t want to tear your hair out trying to figure out the interface and customization tools). While it’s a bit more complicated and requires some learning, WordPress can also work well for this. Wix is another free option. And regardless of the platform you’re using, or the strategy behind it, remember that portfolios are all about the work – the focus should be on showcasing quality content and relevant information, versus spending time on a flashy design or complicated functionality that you don’t need. And if you don’t know what to include, start with a couple of your best pieces that show a range of your capabilities and build it from there. A solid resume is the key to landing the job interview. Check out our suite of resume and branded content services. Do you need help crafting an impactful digital brand presence? BRS offers professional design services to help you create fresh, creative, and professional websites, infographics, logos, and business cards to complement your resume and other job search marketing materials. Tags: career, cover letter, hr, job search, LinkedIn, marketing, personal branding, resume. Bookmark the permalink.